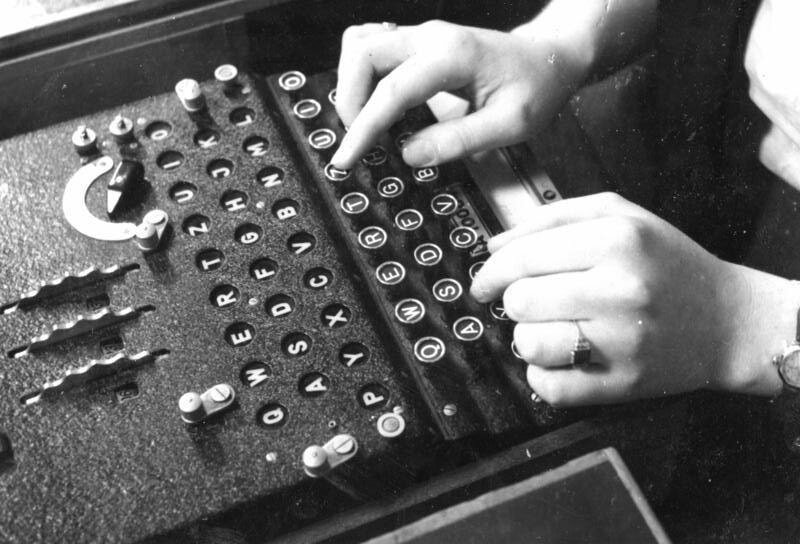 It was a nightmare for secret services all over the world… the Enigma code. An unbreakable code granting the then growing stronger Germany a great military advantage. “Enigma” means puzzle or secret in Greek. 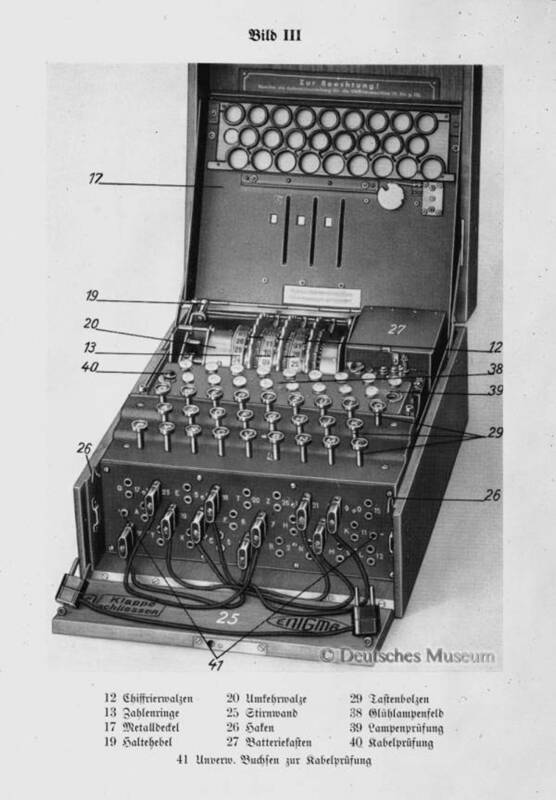 This is how the German engineer Arthur Scherbius named the portable electromechanical encrypting machine he constructed and since 1918 had been producing in the production plant he established together with Richard Ritter. First used for commercial purposes, it was adapted by state institutions of many countries, including by German military forces, which needed an extremely reliable encoding device for linear units fighting in new conditions. The units were required to maintain a high degree of mobility, and consequently an extremely reliable and safe system of communication. The Enigma met those expectations. 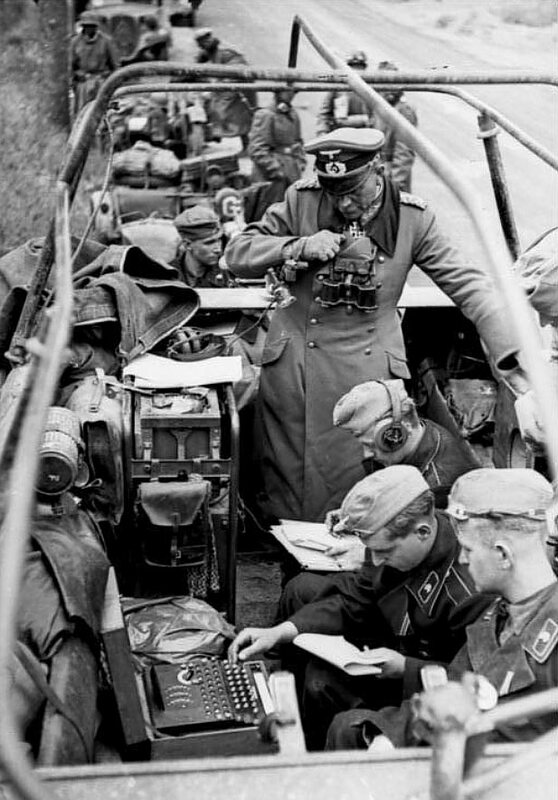 German troops encrypted the listening watch with a new type of code. 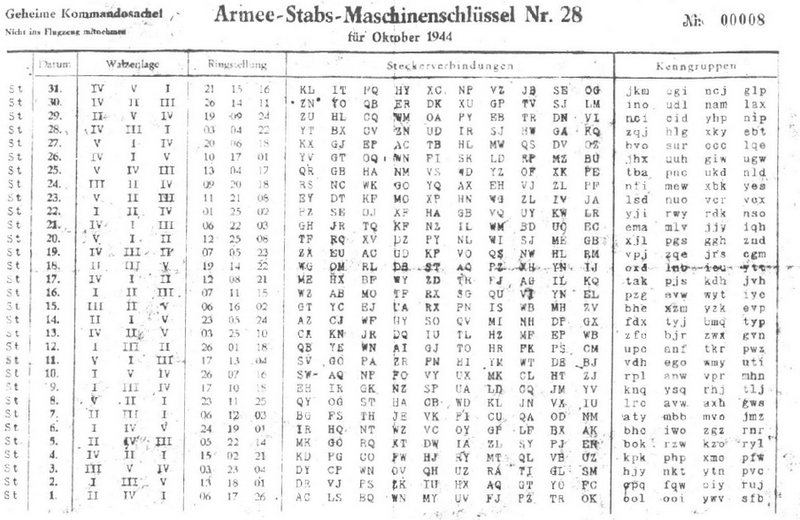 Cryptologists from many countries deemed the German messages unbreakable. 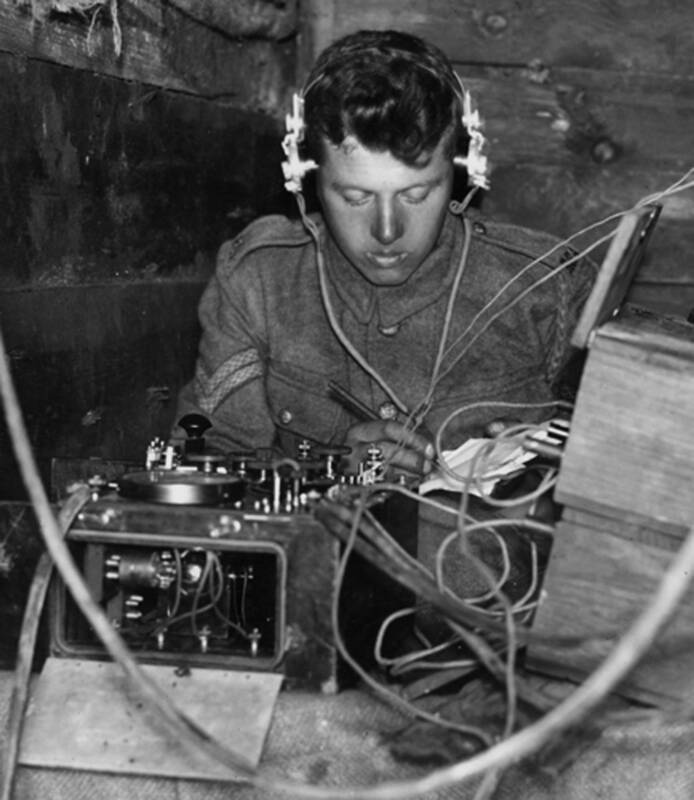 The British, who were the greatest specialists in breaking codes, had not even been maintaining a listening watch of the German radio communication encrypted with Enigma. They concluded that there was no point in wasting time to maintain a listening watch of unbreakable messages. The Enigma was an electromechanical device. It used both the electric current and the mechanical elements for polyalphabetic encoding (i.e. used many alphabets). The most important element of the device were the encryption rotors rotating around one axis, set in the starting position according to instructions known only to the sender and the recipient of the messages. 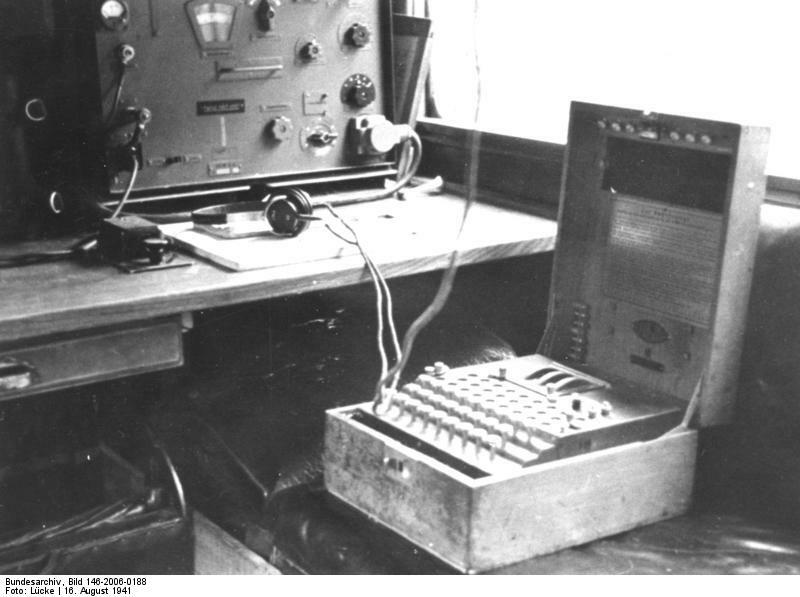 The military version of the device was equipped with a plugboard which additionally changed the course of the electric impulse substantially impeding the code’s breach, because it was the flow of the electric current through the rotors and the plugboard which made possible the presentation of subsequent letters of the cryptogram or decoded message. The most important feature of the device was its capability of encrypting by means of an enormous amount of cryptographic alphabets and the cryptographer operating a device of the same settings could easily read such a message. 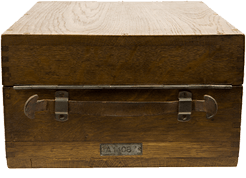 People talk about the Enigma encrypting device; however, this brand until the end of the World War II included many types of encrypting devices. 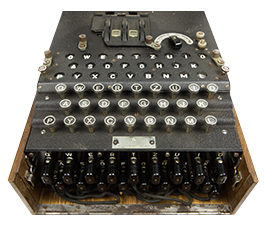 In general, we can talk about two families of Enigma encryption devices: the older – extensive one, with even eight encryption rotors and a function of printing messages as on a typewriter. The device weighed a lot and was very expensive. In a new, simplified model, the printing module was replaced with the module of lightbulbs indicating subsequent letters of the cryptogram. It was cheaper in production and weighed less, which translated into success in use for military linear units. Such device intended first for keeping confidential the correspondence of commercial companies was significantly improved for the needs of the army. 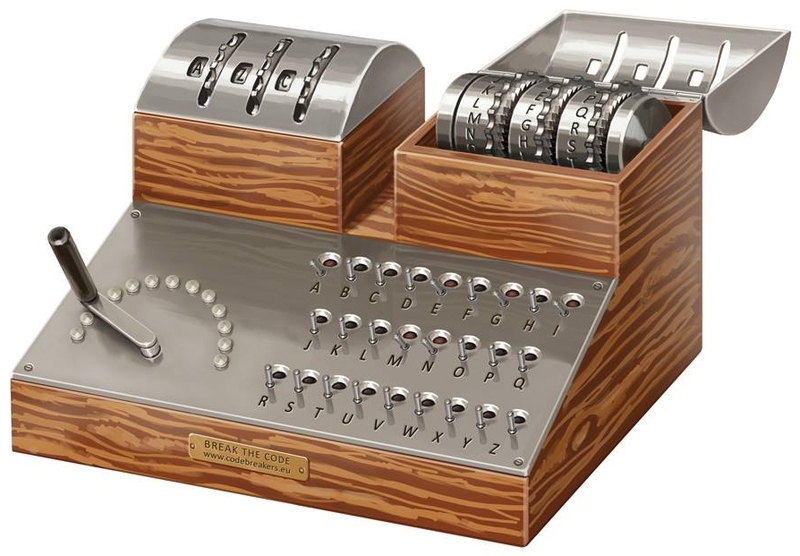 The first rotor encryption device sold under the name of Enigma. Constructed by the Scherbius & Ritter Berlin-Wannsee (Germany) company. It was a very heavy and unhandy device allowing for writing directly on paper, which is why it was sometimes called “Schreibende Enigma” (writing Enigma). 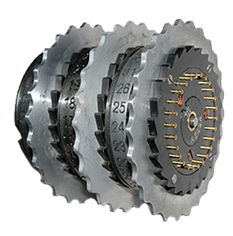 The cryptographer was setting the rotors in the right position, and then started to encrypt or to decrypt (after altering the mode). 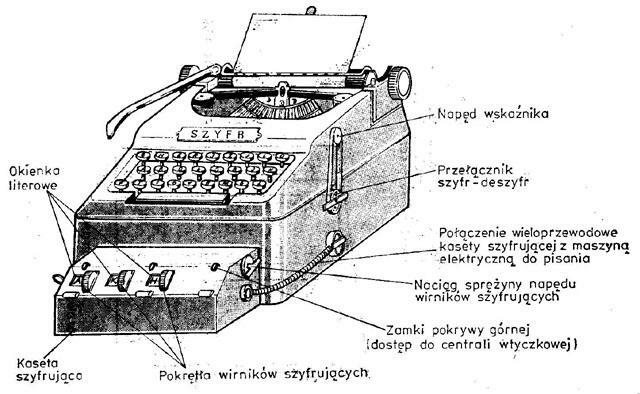 It was also possible to write without encrypting – as on a standard typewriter. 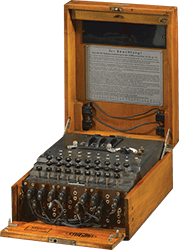 The successors of this device were the B and H models (known as Enigma III). Enigma C was the first of this type of devices which used lightbulbs to indicate letters of the cryptogram (instead of printing the text). It was used since 1924. It was a lot smaller, so more mobile than the one introduced a year earlier, the “writing” Enigma A. It was also a lot cheaper – its price was DEM 1000, which was only 1/8 the price of Enigma A. 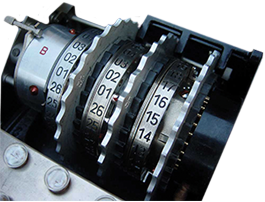 There were several versions of Enigma C. The basic model had 26 contacts on every rotor and used the standard international alphabet. The keys on the keyboard were installed alphabetically (ABCDEF…), and not as in the German QWERTZ order. An expansion of this Enigma were Enigma D and K, where it was possible to change the system of rotors to increase the maximum number of permutations during encryption. These were commercial Enigmas. Enigma I was created in 1927. It was introduced to the equipment of the German Reichswehr. 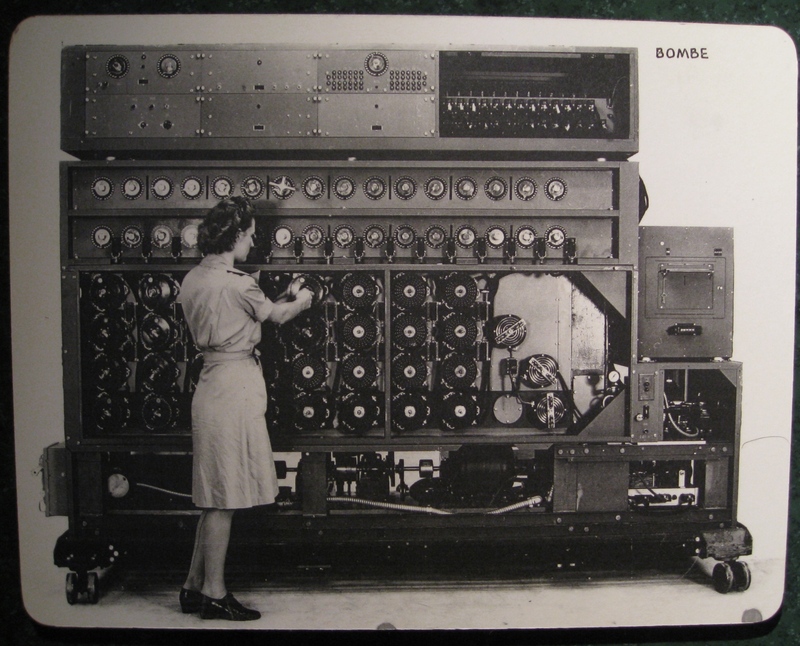 Its construction was based on the commercial Enigma D, but additionally had a plugboard installed at the front. It was a unique solution of the German military forces. The device was being used throughout the entire World War II. At first the device was equipped with three rotors which could be set in 6 ways. In December 1938 two additional rotors were added to choose from, which resulted in 60 possible settings of rotors, i.e. in a tenfold increase in the safety of the code! It was, however, the plugboard which substantially increased the total number of possible combinations. Enigma I was being used both by Heer (land troops) and Luftwaffe (air troops) as M1, M2 and M3 – with certain construction changes and an increased number of rotors to choose from. Enigma M4 was constructed during WWII only for the purposes of communication of submarines named Kriegsmarine (navy). This model was a successor of Enigma M3. Enigma M4 played an important role in the Battle of the Atlantic. It was introduced totally unexpectedly on 2 February 1942, which caused a great commotion among the Allied cryptologists in Bletchley Park. It was not broken throughout 9 months, until the code list was intercepted. M4 is a modified three-rotor device. The width of the reflector was reduced by a half, and the remaining space was cover by the fourth rotor, which was equipped with spring contacts on both sides. Thanks to that the number of combinations multiplied. 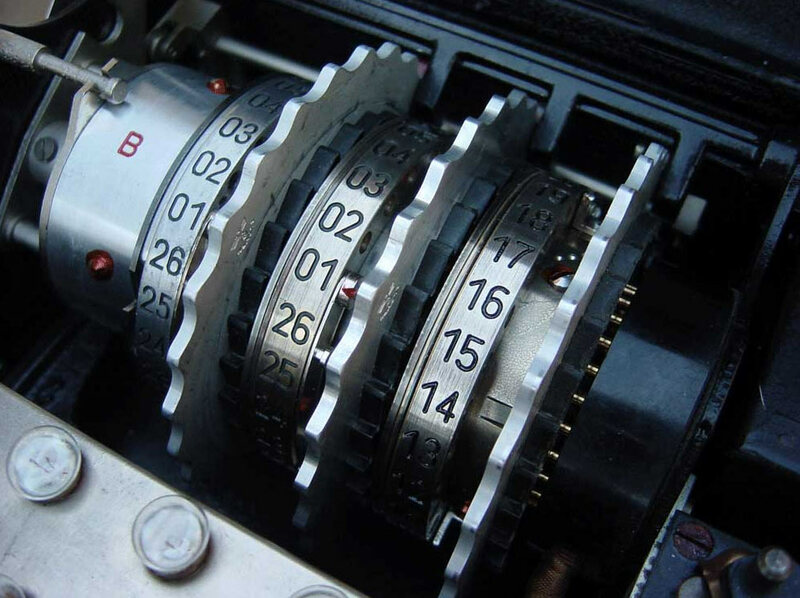 Additionally, Enigma M4 was equipped with 8 different encryption rotors, which also increased the code’s safety. In Enigma, each successive letter of the message is encrypted by means of another encrypted alphabet. Thanks to the use of encryption rotors and the plugboard which changed particular characters, the number of possible alphabets grew to the amount that gave the German cryptologists, and for some time also the English and the French, the assurance that no one was able to break it. In each rotor, the left-hand contact arrangement with the right-hand contacts was different and allowed for generating 26 various cryptographic alphabets (depending on the position of the rotor with relation to the axis). A cryptologist who did not know the rotor connection system would have to check the enormous number of possible connections: 26 • 25 • 24 • … • 2 • 1 = 26! This gives 403 291 461 126 605 635 584 000 000 possibilities. Let us recall that Enigma had three moving rotors, from which initially each could be set in 26 ways. Who would handle better the great numbers if not mathematicians? From this thought there was only one step to the Cryptography Course for university students of mathematics which determined the best ones. What did the idea of revolution in cryptology consist in? When messages encrypted by means of the Enigma appeared, Lieutenant Maximilian Ciężki who managed the German section of the Cipher Bureau came to the conclusion that the then current methods used to break the codes had ceased to be effective. He decided to focus on learning – apart from talent and luck, the knowledge of the mathematics was needed. 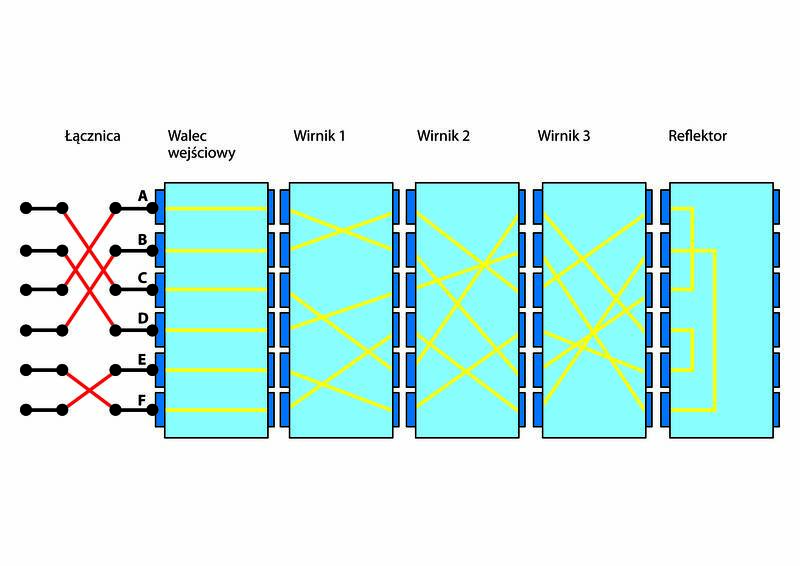 He invited 26 students from the Faculty of mathematics in Poznań to participate in the cryptology course, of which eight best started working in the branch of the Cipher Bureau in Poznań. Mathematicians involved in breaking the codes, and not as previously practiced, linguists, was an event compared with the Copernican revolution in cryptology. Since then, cryptology has become a field of mathematics, which today is obvious. 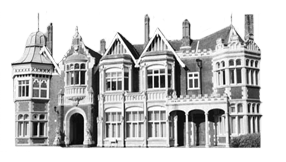 It was the example of the Poles that at the beginning of World War II the thresholds of the Bletchley Park center were crossed by mathematicians led by Alan Turing. 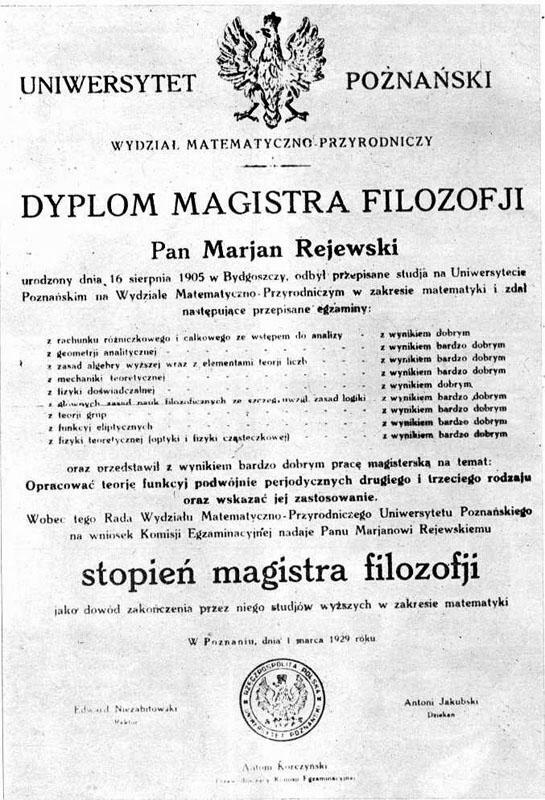 Relying on students of mathematics in Poznań which was 10 years earlier in the German state, was an additional help. It could have been assumed that most of the course participants would have a solid knowledge of German. At the end of the course, several participants received a proposal to cooperate with the Poznań branch of the Cipher Bureau located in the offices of the former Prussian commissariat. After three years, three remained: Marian Rejewski, Jerzy Różycki and Henryk Zygalski. During this time, young cryptology students were gaining the necessary experience by breaking other codes. Throughout this time, they never heard of Enigma. In accordance with the long-term strategy, young talented mathematicians indicated by Professor Zdzislaw Krygowski were invited and given time to gain necessary experience. 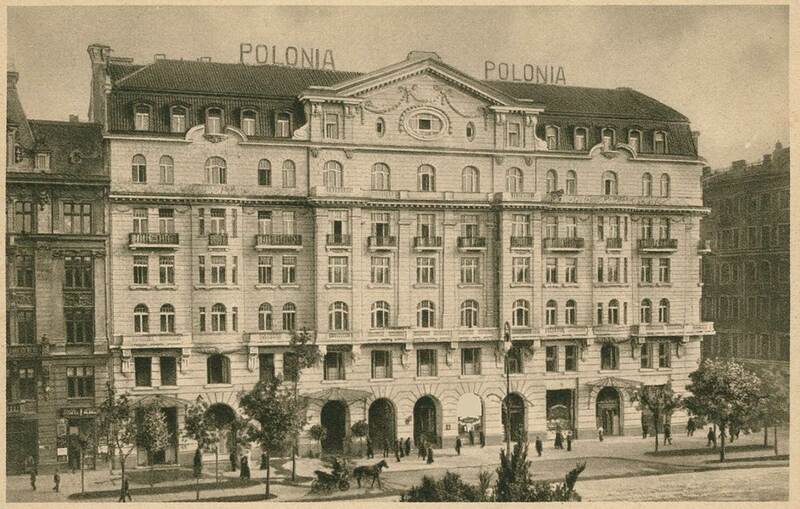 In 1932, Maksymilian Ciężki moved his students to Warsaw, to reveal soon to Rejewski the purpose for which they had been elected. Enigma would not have been broken if it had not been for the combination of genius and the hard work of many people. Below are the biographies of the heroes of this great success. Among them are young, talented mathematicians – students of Professor Zdzisław Krygowski and graduates of the cryptology course prepared by Ciężki, engineer Antoni Palluth and the continuator of the work of course creators – Gwidon Langer. Leading Polish cryptologist who played a key role in the first attack on the Enigma codes and in December 1932 achieved a breakthrough success. 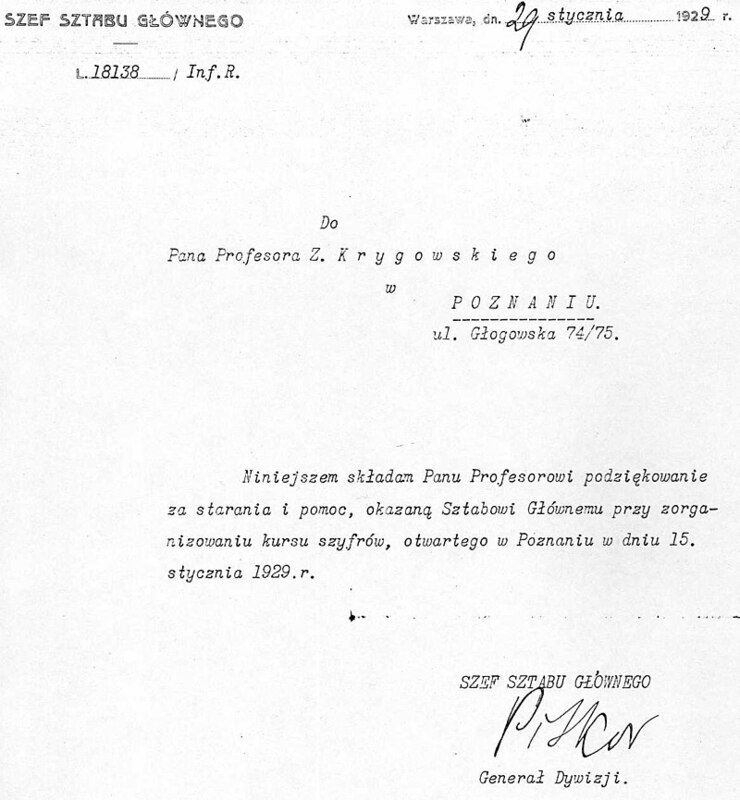 In 1929, he graduated from the Poznań University at the Faculty of Mathematics and Natural Sciences. 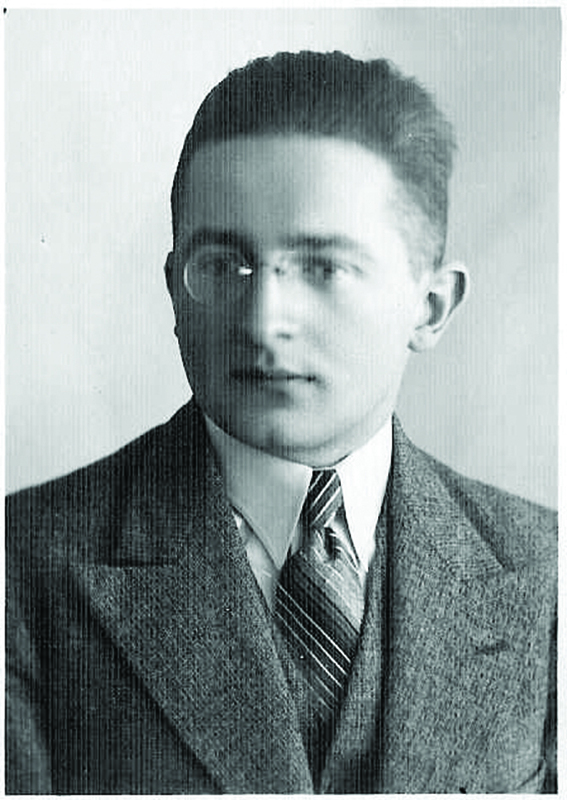 He participated in a cryptology course organised for students in Poznan by Maksymilian Ciężki and Gwidon Langer. Until the outbreak of World War II he had been achieving successes, regularly breaking subsequent security measures of German military codes. After evacuation, he worked at the Bruno Center near Paris and later in Cadix in the part of France unoccupied by Germans. After the occupation of France by the German Nazi troops, he fled through Spain and Portugal to UK. Here, he worked for the Polish Armed Forces. After the end of the war, he returned to Poland. He was harassed and kept under surveillance by the communist authorities. It was only in the 1970s, as a result of publications appearing in the West, that he revealed his contribution to breaking the Enigma codes. The youngest of the three cryptologists. At the University of Poznań he obtained two master’s degrees (in philosophy in the field of mathematics and geography). He was also a participant of cryptology courses conducted by the staff of the Cipher Bureau. After the outbreak of World War II, similarly to other employees of the Cipher Bureau, he was evacuated to France. Thanks to his organisational skills, he was given the task of establishing a military intelligence branch in Algeria. He died returning from Algeria to France, during the Lamoriciere ship catastrophe. Academic researcher of the University of Poznań and the Cipher Bureau. 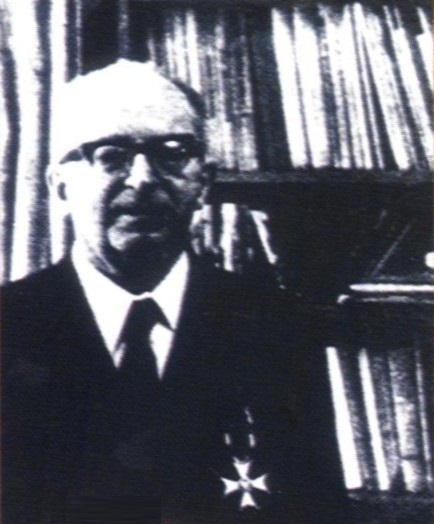 Created the so-called Zygalski sheets – perforated sheets used to determine the order of encryption rotors of the Enigma. During World War II he was evacuated with the Cipher Bureau to France. He worked in cells codenamed Bruno and Cadix. After the occupation of France by the Third Reich, he came to the United Kingdom through Spain. Within the Polish Armed Forces he worked here in the Signals Battalion of the Staff of the Commander-in-Chief. After the war he stayed in the UK. He taught at local universities. He was the co-creator of the scouting movement of Szamotuły, in the Wielkopolska Uprising leader of the division that liberated his hometown, Szamotuły. He took part in the Polish-Bolshevik war (1920) as a member of a special listening and radio-location group. The experiences of the cryptologist and radio journalist resulted in Ciężki and another man from the Wielkopolska region, engineer Antoni Palluth, being designated to the branch of the Polish intelligence services dealing with decryption of German codes. 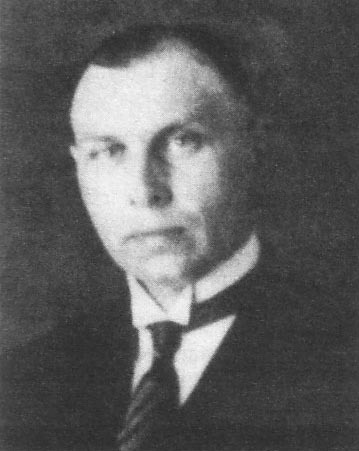 It was Maksymilian Ciężki who was the main organiser of a team consisting of outstanding Polish mathematicians, whose contribution to the victory of the Allies has only recently been recognised. This can be proven by exposed monuments, printed publications, lectures, press conferences and opened historical exhibitions. 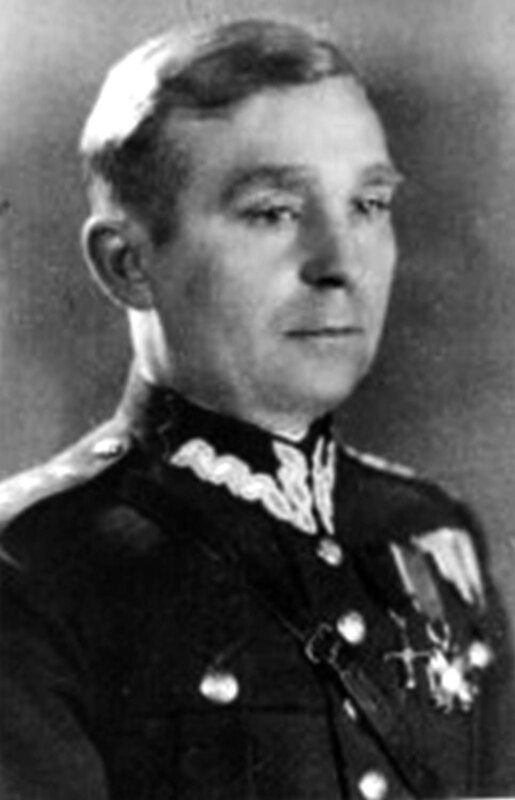 Lieutenant Maksymilian Ciężki died in poverty in 1951 in the UK. As a professor of mathematics at the University of Poznań, he helped organise a secret cryptology course for students of the third and fourth year. He selected over twenty persons from his students of two last years. The course’s programme covered the basics of cryptology and the chapters of mathematical analysis that were used in this field. Apart from Professor Krygowski, classes and lectures were also conducted by officers of the Cipher Bureau. The professor’s students launched an effective attack on the Enigma code. During the war, as a result of being expulsed by the Germans, he lost all his possessions. 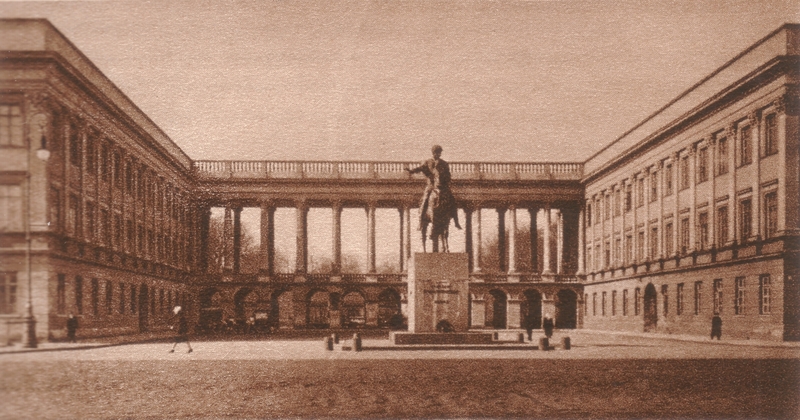 After the war, he continued his work at the University of Poznan, almost until the last days of his life. 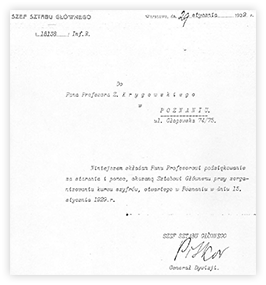 As an outstanding employee of the Polish Cipher Bureau he was appointed in 1929 as lecturer of secret courses of military cryptography in Poznan, during which future conquerors of the Enigma were trained. He made a great contribution to the works on the reconstruction of Enigma on the basis of Marian Rejewski’s calculations, as well as to works on the construction of other machines – cyclometer and Rejewski’s bomba. 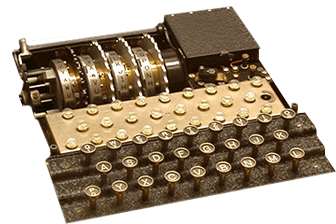 In July 1939, the replicas of Enigma built in Poland were made available to the Allied military forces of France and the United Kingdom, which enabled the states of the coalition to regularly read German secret radio correspondence throughout the World War II. Due to the events on the front, he was evacuated through Romania to France where he continued the work he started in Poland. In 1942 (during another evacuation), he was arrested by the Germans on the Spanish border and taken to a concentration camp, where he died during a bombing. He was a student of the Theresian Military Academy in Wiener Neustadt. During World War I, as an officer of the Austro-Hungarian Empire, he fought in the area of ​​the Beskid Sądecki and Niski, where he was taken to captivity by the Russians. After his release, he was sent to the Polish army being formed in Siberia. During the October Revolution, he was again taken to captivity, this time by the Soviets, from which he escaped. He did not take direct part in the course due to the fact that he was assigned to the Cipher Bureau a bit later. He became the head of the Bureau during the period in which it achieved its greatest successes. After the outbreak of World War II he was evacuated to France together with the Bureau. Here he worked until 1943, when the Germans occupied the free zone. He made an unsuccessful attempt at crossing the Pyrenees to get to Spain. Betrayed by a French guide, he was sent to German captivity, where he remained until the end of the war. However, he never revealed the secret of how the Enigma was broken. 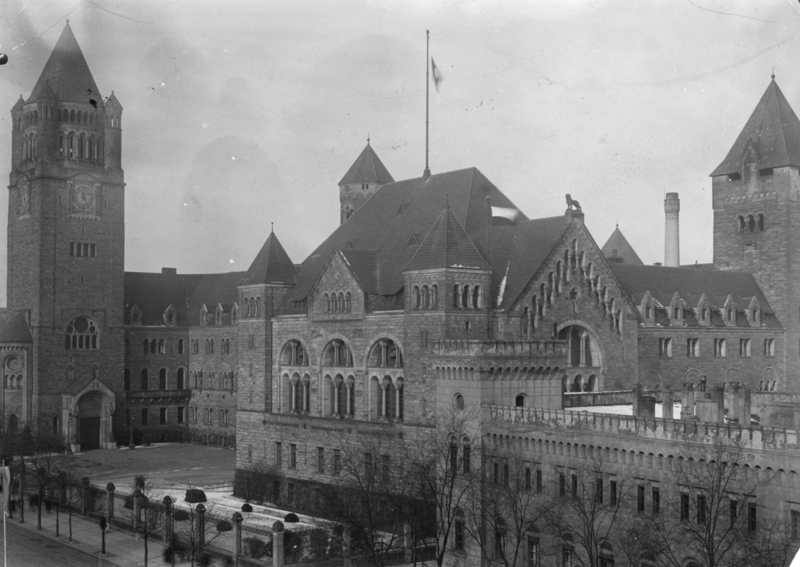 After the war, he left for the United Kingdom and died there in unexplained circumstances. His ashes were brought to Poland on 1 December 2010 and buried at the Municipal Cemetery in Cieszyn. The constructors of the Enigma were well aware of the fact that in the event of a war, the machine would sooner or later fall into the enemy’s hands. The messages were being protected by changing every day the encryption key. Working in the Berlin Chiffierstelle, Hans-Thilo Schmidt sold the keys to the French, however, they – along with the British, with whom the French shared the secret – found his information to be useless and as such passed it to Poles. 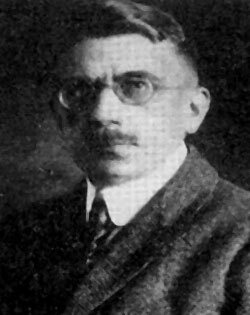 Maksymilian Ciężki could have simply passed on the keys to his subordinates, but he decided to leave them in the safe to try to reach his goal – breaking the Enigma – by means of mathematical methods. 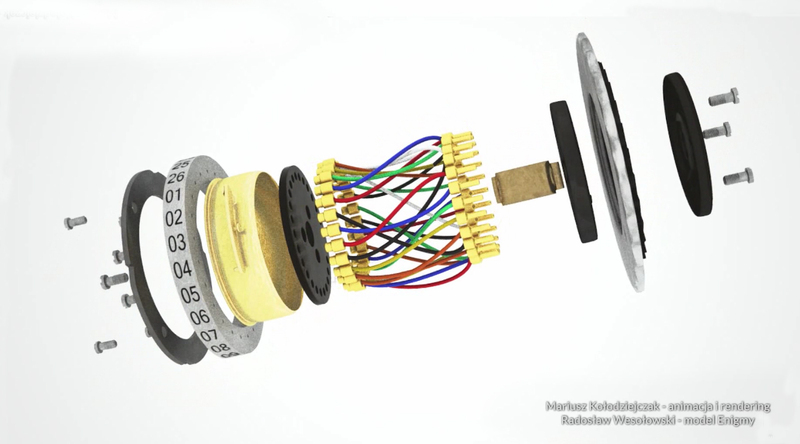 In less than three months, Marian Rejewski recreated and presented in a mathematical equation a machine he had never seen before, and broke the unbreakable code! How did Rejewski break the Enigma code? Rejewski immediately focused on the mathematical properties of the Enigma code without wasting time trying to use traditional cryptographic methods. First, he discovered the cyclical nature of the code, which was the basis of most of the methods of attack on rotor machines. He created the mathematical model of the machine to finally reconstruct the Enigma and, by recreating the keys to the code, read the first message. Just in time, because Hitler was about to take over the power in Germany. 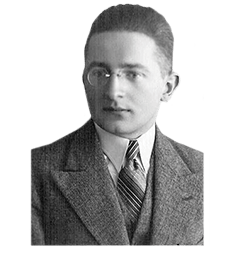 The Enigma was broken by Marian Rejewski in the last days of 1932, less than 2 months after he was assigned with the task, which is a testimony of the outstanding skills of this young cryptologist. As it soon turned out, it was the beginning of a long adventure with the Enigma. Actually, instead of “breaking the Enigma”, one should talk about some “stages in the process of breaking it” – the opponent was constantly introducing improvements and changes, so the work on methods of breaking the keys to the code lasted continuously. It was necessary to develop new methods of fighting the Enigma. This was how the “grate” and the “clock” methods were created. 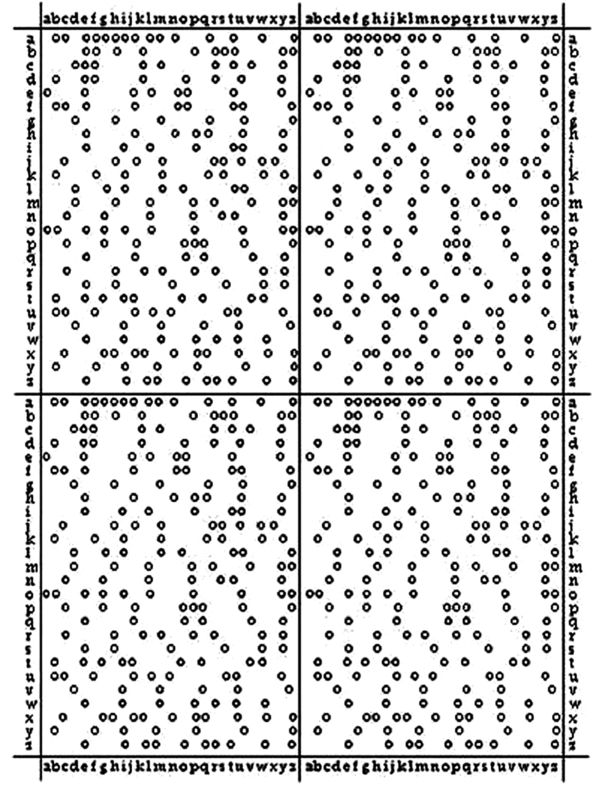 One of the important inventions were the Zygalski sheets – sheets of paper with holes in places where the Enigma code had a specific property. Placing a dozen or so sheets on top of one another allowed you to find the current key for the code. Since then, events had begun to occur quickly. 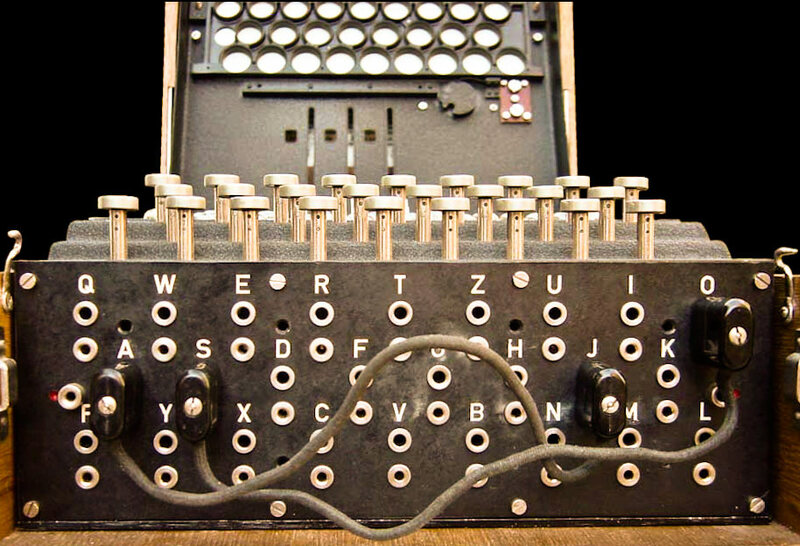 The Germans perfected the Enigma encryption methods, and the Polish team was developing methods of attack on the code, creating the first electromechanical devices to support the breaking process. 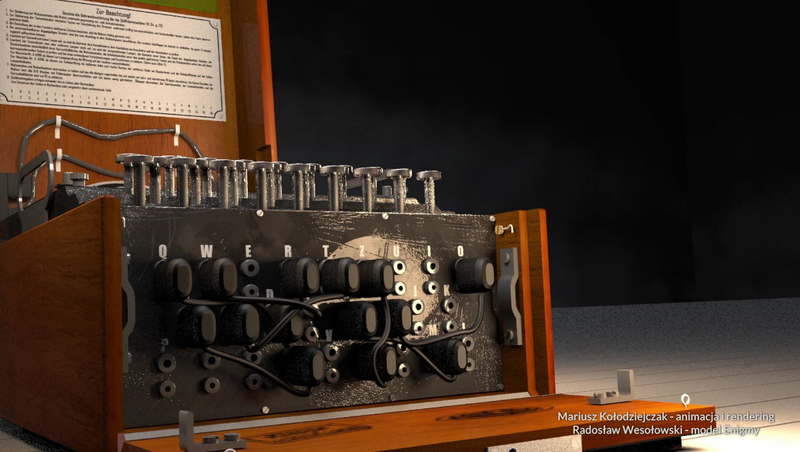 In 1935, the Polish were the first to confront the encryption device with a device supporting the process of decryption, which they called a cyclometer, and in 1938 the Rejewski bomba was created. From today’s perspective, these were simple devices, but then it was a remarkable achievement. 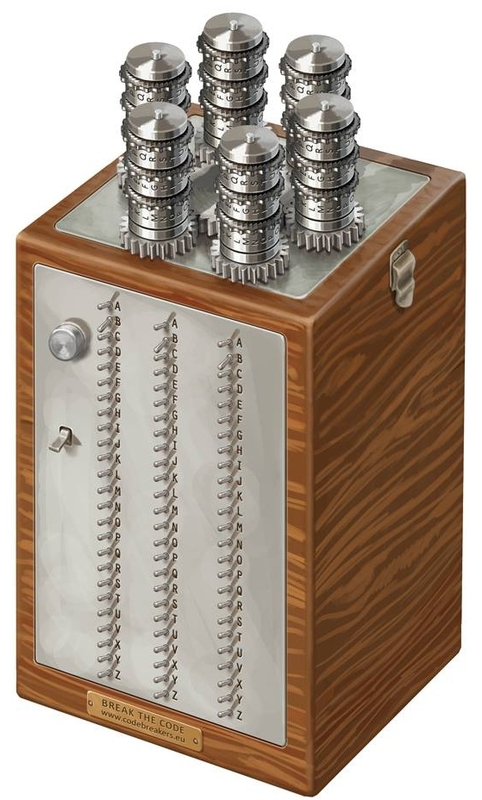 (In Greek: κύκλος (cyclos) “cycles” and μέτρον (metron) “measure”) – a device invented by Marian Rejewski to calculate the cyclic permutations of cryptograms of the German Enigma encryption device. It consisted of two sets of Enigma rotors. Even with this device, creating a complete catalogue of characteristics was a difficult and time consuming task. For each of the 17,576 positions in which the machine could be set, six possible sequences of rotor settings had to be analysed, resulting in 105,456 rotors. were six interlocking blocs of rotors of the Enigma machine, which, while working, were searching for the correct Enigma settings on a given day. The setting of the rotors could be correct if a light with the same letter lit in each column. At this point, the engine stopped and the operator recorded the position of the rotors and restarted the device. Within about 2 hours, the bomb performed a full analysis. Marian Rejewski approached the machine he designed with a distance, because he thought the solution was a bit blind. 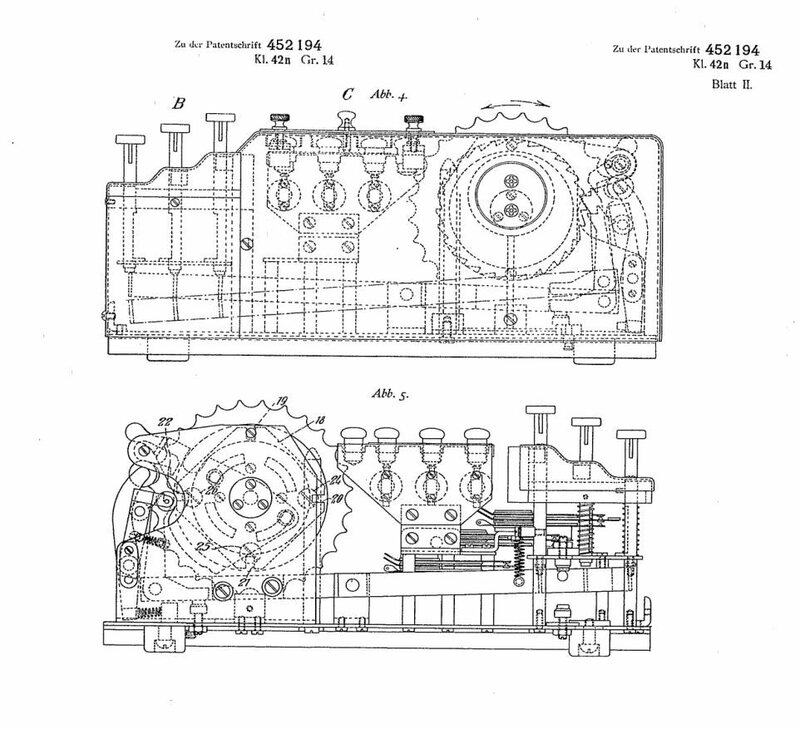 However, the machine designed by Rejewski was the first mature cryptoanalytic device and also a prototype for most of the Allied machines used to attack machine codes. 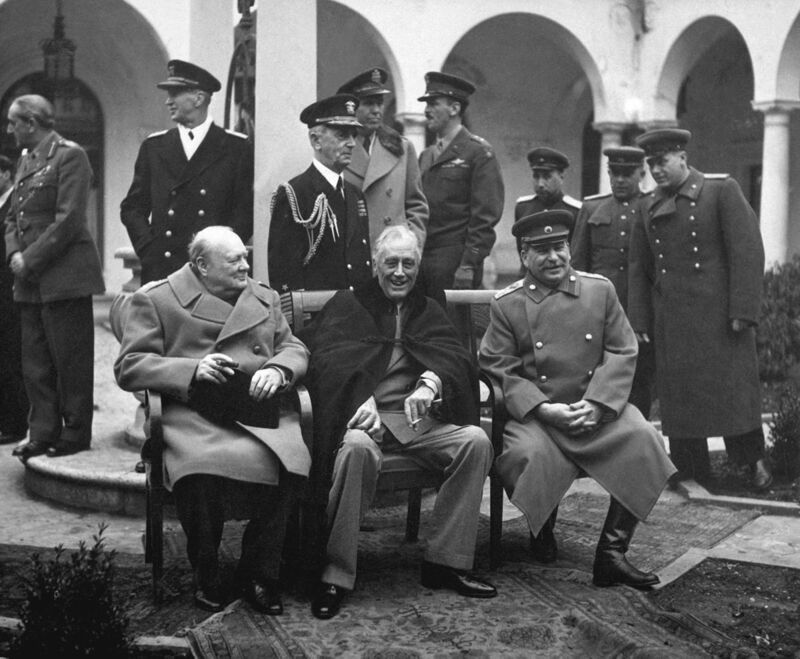 When it became clear that the outbreak of World War II was inevitable, it was time to pass the baton in the relay. A few weeks before the German attack on Poland, Poles shared the secret with the British and French allies. So far, the Poles were alone in their fight with the Enigma codes. In January 1939 in Paris, there was a meeting of cryptologists from the United Kingdom, Poland and France. 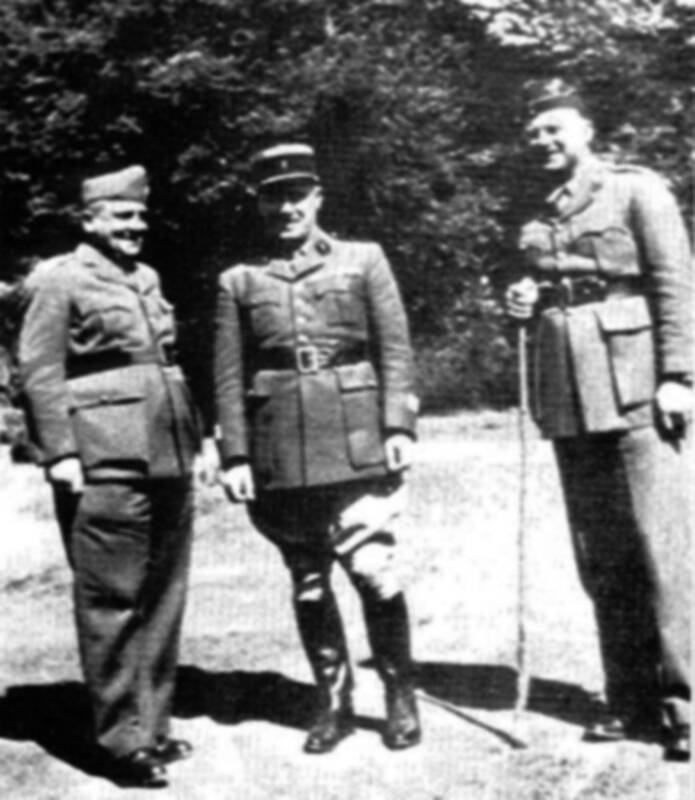 The Head of the Polish Cipher Bureau, colonel Gwido Langer, along with his deputy, Maksymilian Ciężki, traveled to France with the instructions to reveal the success only if the partners were similarly advanced in the attack on the Enigma. Because the British and the French were almost unaware of the machine, Polish officers kept silent and received a disrespectful critique from the main British government secretary, Dillwyn Knox. As the specter of the war became clearer, Langer and the Ciężki gained the consent of the commanders of the Polish Army to reveal to the Allies the discovery. During the July meeting in the secret radio station in Pyry near Warsaw there was no shortage of emotion, the French showed aversion, the British ostentatious indifference. Rejewski and his colleagues kept a cool mind, systematically explaining the mathematical foundations of the machine reconstruction and key breaking, the details of the construction of the decryption devices they constructed. In the end, in front of the viewers, they broke a newly received message. Both delegations received a complete set of documentation and a copy of the machine itself. 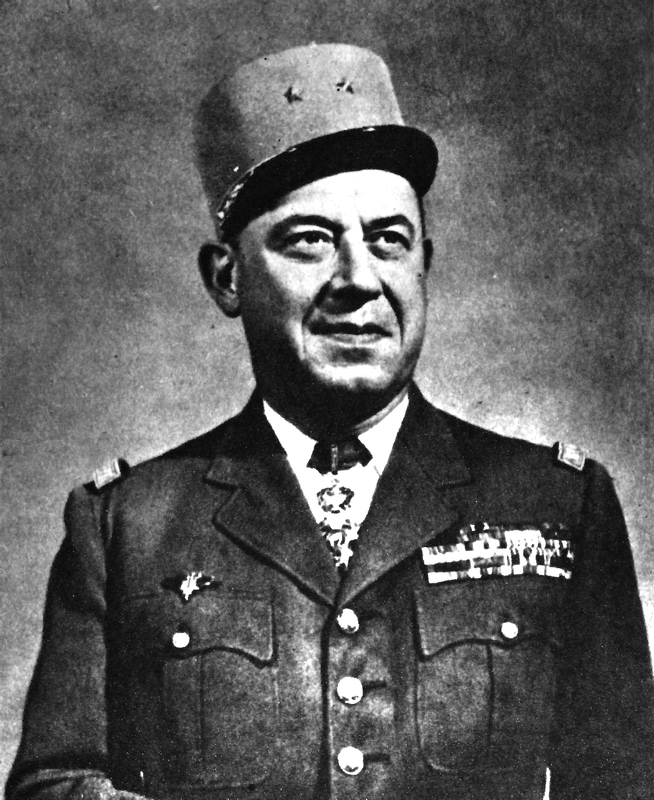 Military officer of the French intelligence service. Until 1930, he worked in the radio intelligence service. Then head of Section D, dealing with matters of science, technology and decryption. Participant of the Polish-French-British conference in Pyry near Warsaw, during which the Polish side revealed the fact of regular breaking of the German Enigma encryption code. 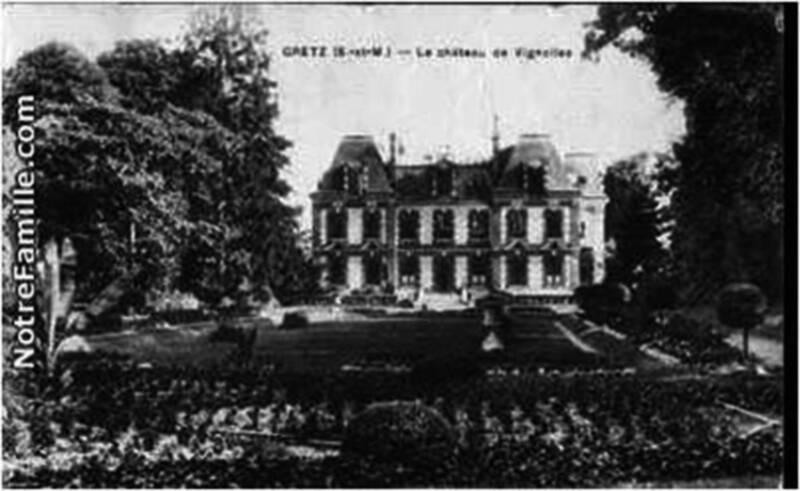 During World War II, the commander of cryptographic institutions in France, under the cryptonyms Bruno and Cadix. After the war, in 1950 he retired from military service. In 1973, he revealed in the book “Enigma ou la plus grande énigme de la guerre 1939-1945” the secret of breaking the Enigma codes. The book triggered a storm and a worldwide discussion of the merits of individual Allied states in the process of breaking the Enigma. BBritish cryptologist working during World War I in the famous Room 40, dealing with the breaking of German military codes. Before the World War I he studied at the universities of Bonn and Paris. 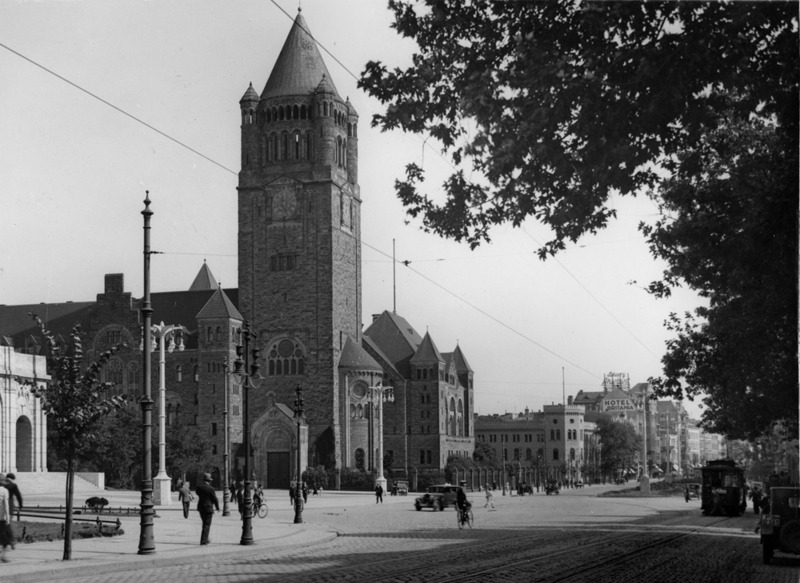 After the war ended, he reorganized the headquarters of the British GC & CS radio intelligent services. 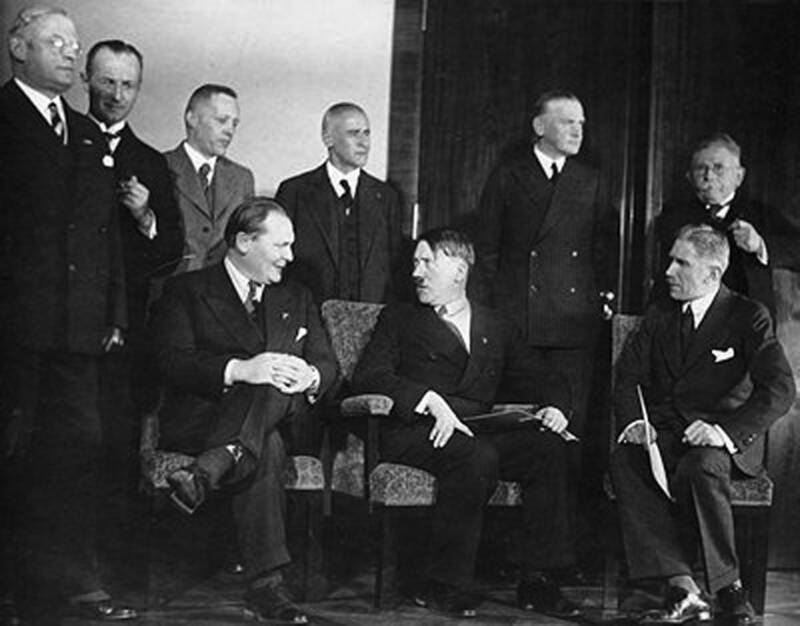 Just before the start of World War II, he chaired the British delegation, which came to the conference in Pyry near Warsaw. During the meeting, the Polish hosts revealed the secrets of breaking the Enigma codes with French and British colleagues. 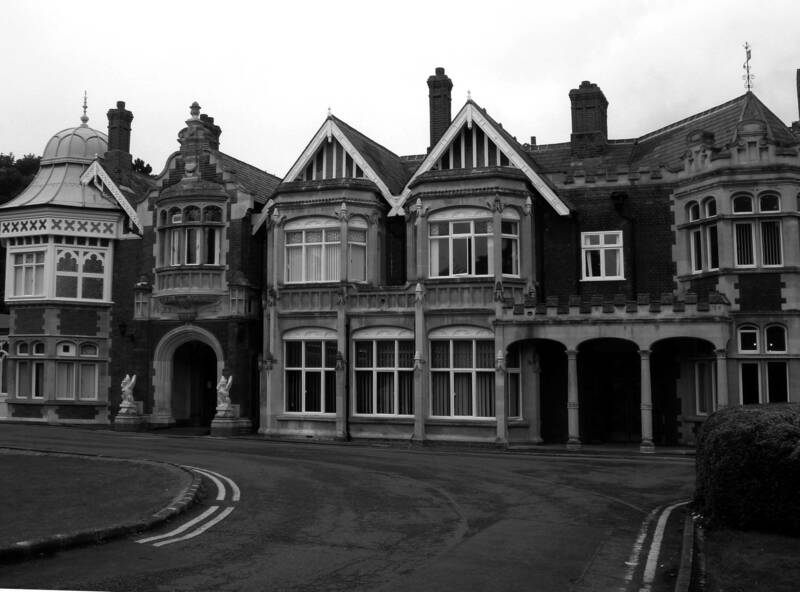 After the outbreak of World War II, he and his team moved to Bletchley Park. In 1942, he left BP and 3 years later retired. He was educated at Summer Fields School and at Eaton. He then studied at King’s College in Cambridge. During the World War I, he worked in the Room 40 decryption cell created by the United Kingdom Navy. He was a distinguished and talented cryptologist with great experience. 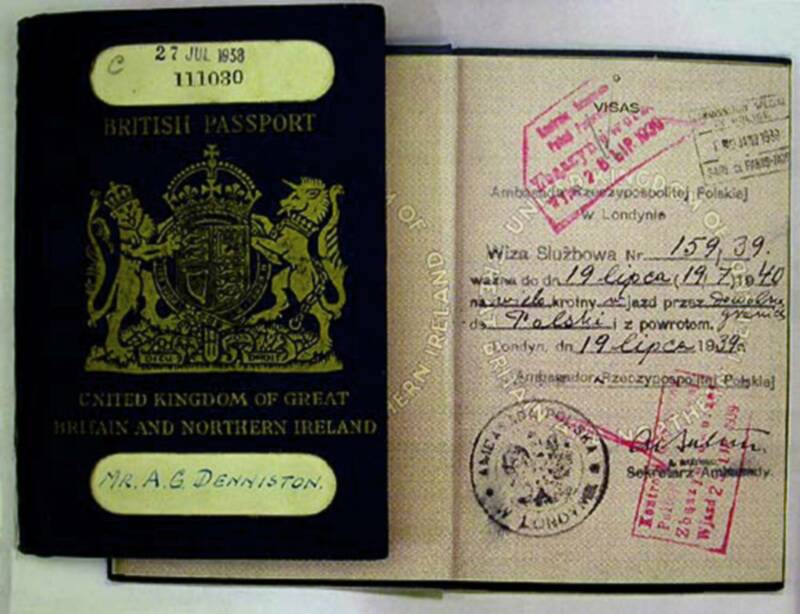 As part of the British delegation, he was a participant in the Polish-British-French military intelligence conference in Pyry, during which the Polish cryptologists revealed ways of breaking German codes. From the outbreak of World War II until his death he worked at Bletchley Park, dealing with the decryption of German and Italian cryptograms. 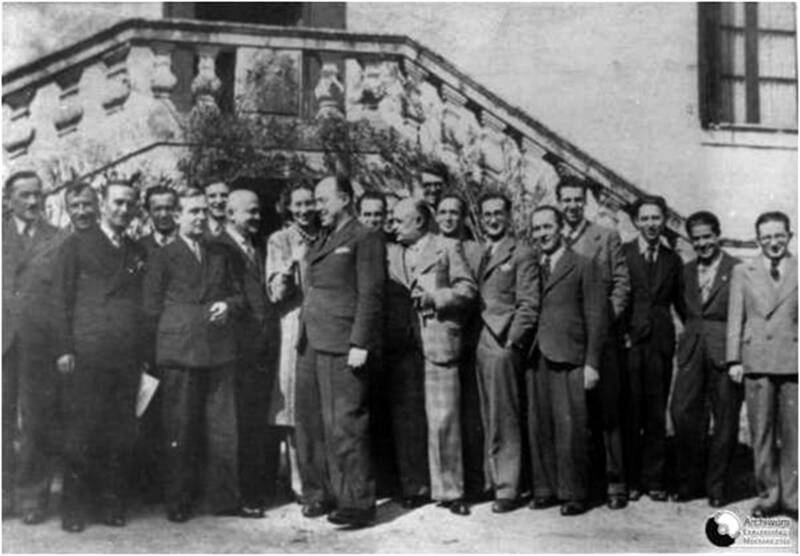 When the war broke out, the Polish team was evacuated from the country to save the mystery of defeating the Enigma and resume its activity as soon as possible. Meanwhile, the French, and above all the British, begun working on the Enigma code. It was the most appropriate moment to share the secret – a few days later World War II broke out, in which both Enigma and the fact of it being broken played a very important role. The Enigma conquerors were forced to flee the country. After escaping from the attacked Poland, most of the Polish cryptographic team came to France. 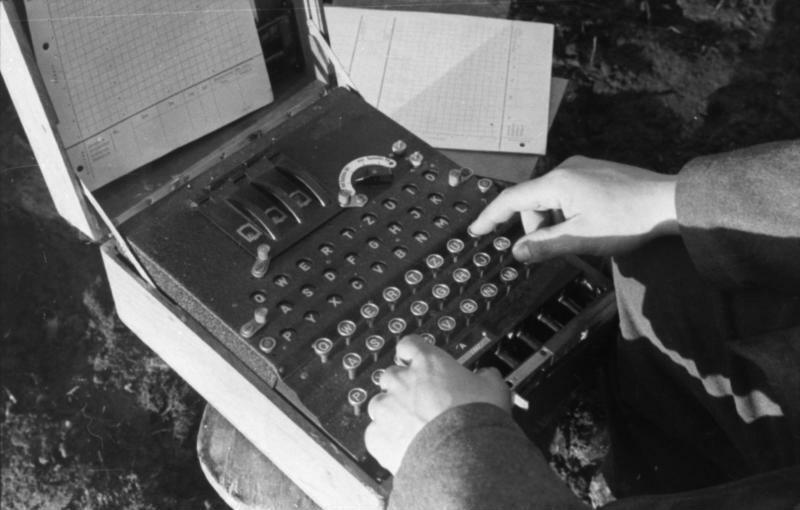 Here, in January 1940, for the first time since the outbreak of the war, the Poles broke the Enigma code. The weight of the Enigma events was gradually moving towards the United Kingdom, to the cryptographic centre at Bletchley Park. However, the authors of the breakthrough were pushed aside. 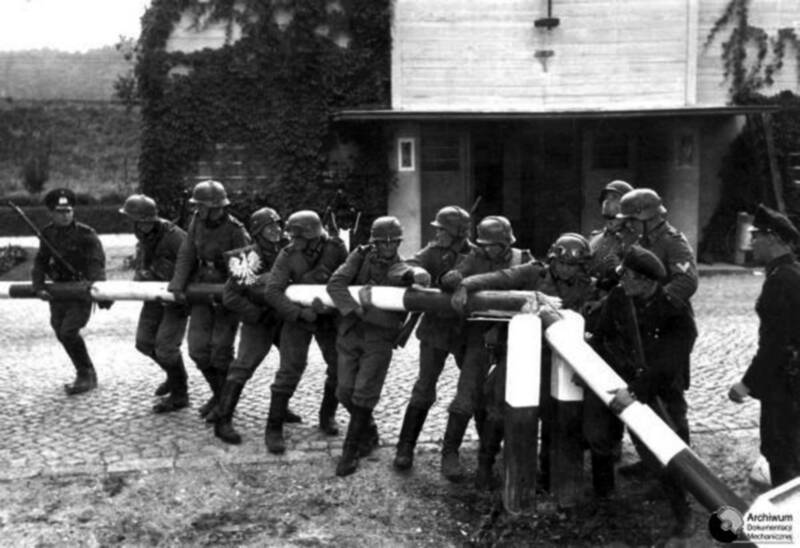 In 1943, a part of the Polish team, betrayed by the French superiors, was taken by Germans. They were about to experience the drama of being imprisoned in prison and concentration camps. Getting to France turned out to be unfortunate for Poles. Here, they were at the disposal of their host, Major Bertrand, who did not intend to share his possibilities with the British. He organised the work of the Bruno cryptographic centre. When in the early 1940s the British, unable to make a breakthrough in the work of the Enigma, wanted to take advantage of the help of Poles, this was possible only in France. 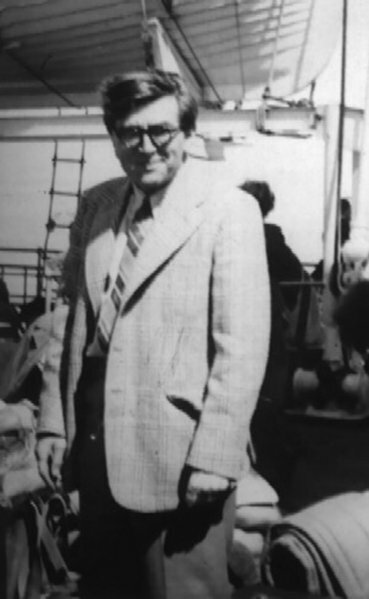 The periodic duties in Algeria ended tragically for Jerzy Różycki, who died after the torpedoing of the Lamoriciere ship in which he was returning to Europe. When Germany occupied a relatively safe (previously unoccupied) area of ​​southern France, another stage – for some, a tragic one – began. 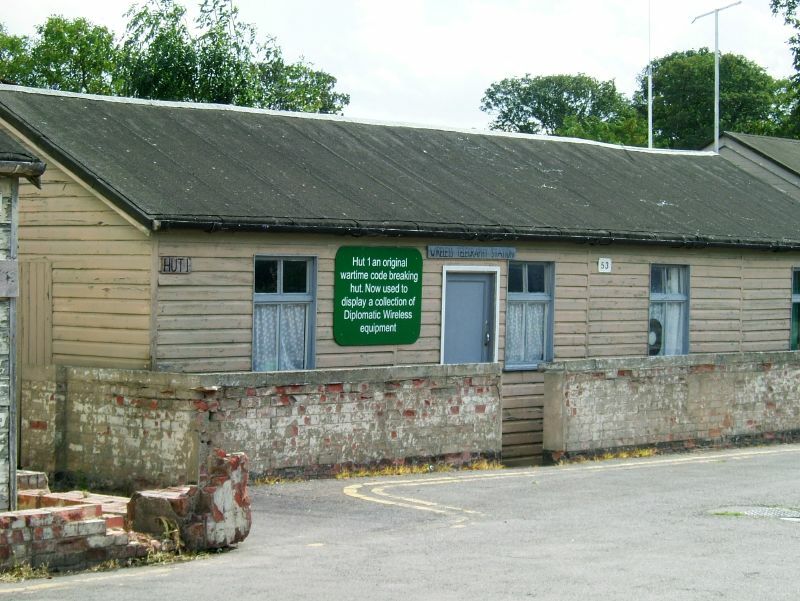 In Bletchley Park near London a secret cryptographic centre was created where methods discovered thanks to the Poles were developed, and people faced the next challenges of the Enigma. Bletchley Park How did Enigma affect the fate of war? Meanwhile, since the autumn of 1939, in the United Kingdom the information provided by the Polish directly before the war was developed. Finally, the British saw the point of recruiting mathematicians. 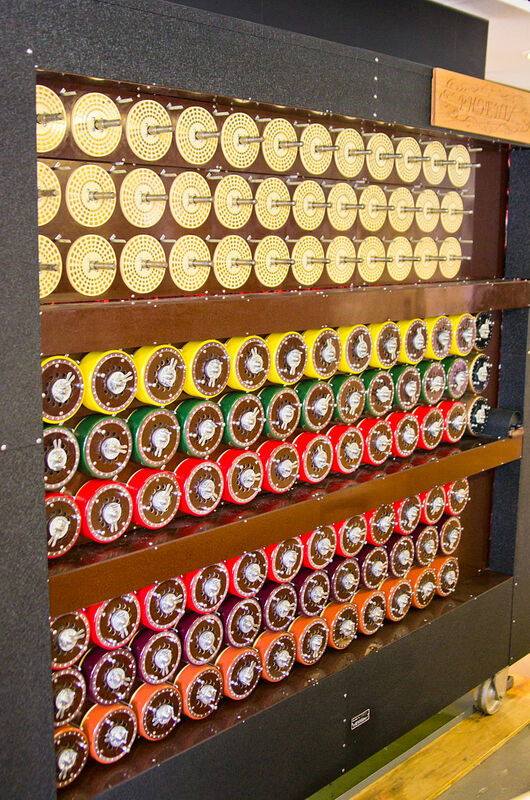 On 4 September 1939, the gateway to Bletchley Park was crossed by Alan Turing, and his bomb was the main weapon in breaking the Enigma. During the war, Bletchley Park became a large centre with thousands of employees (and still managed to keep his successes secret). 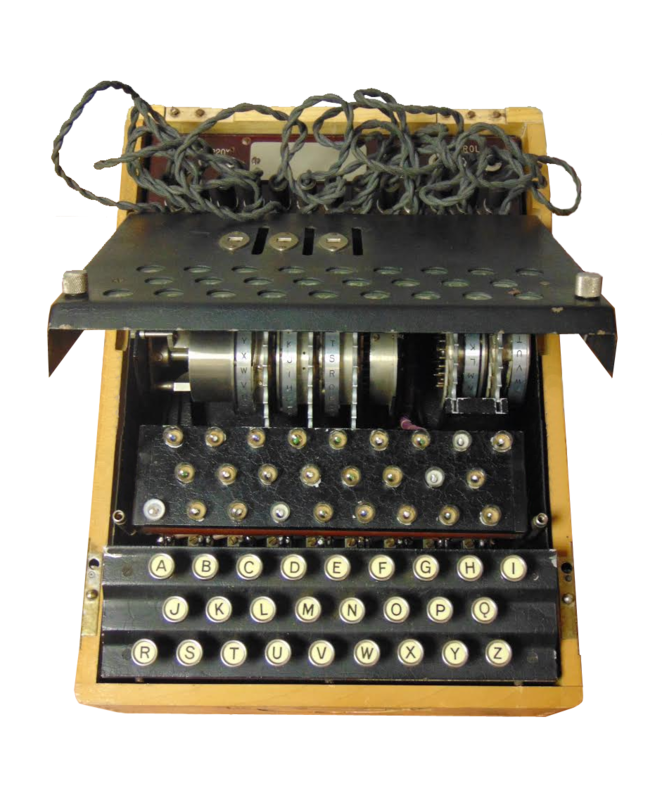 Another version of the Enigma equipped with an additional rotor was broken here, as well as other German codes, such as the Lorenz machine. 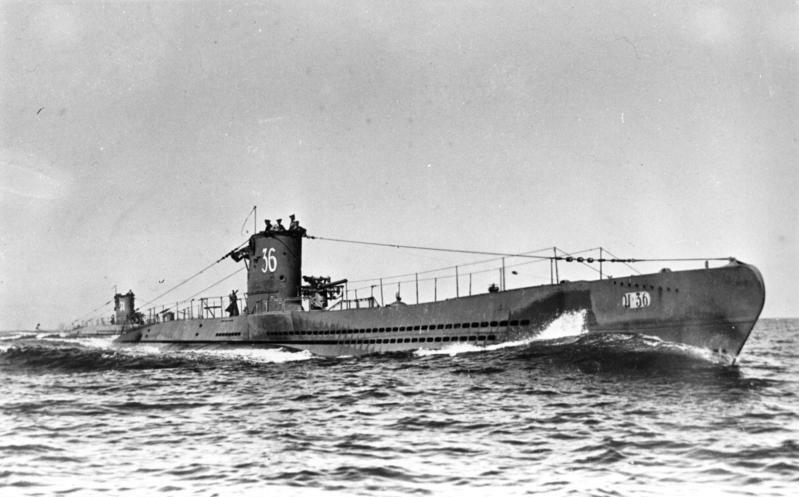 As a result of a close cooperation between the British and Americans, the Enigma breaking methods travelled over the ocean, where they could be developed through the technological and material potential of the United States. There, also the models of Turing bombs based on lamp transmitters (not electromechanical) were created. An unquestionable leader of the British works on the Enigma was the extremely talented and equally eccentric mathematician Alan Turing, who in 1940 went to France to meet with the Polish team and see how to use the Polish methods of breaking the Enigma. British mathematician, cryptologist and co-founder of the basics of computer science. He completed his prestigious studies at King’s College in Cambridge, where he created his most important work, “On Computable Numbers”, which deals with programming mathematical calculations. 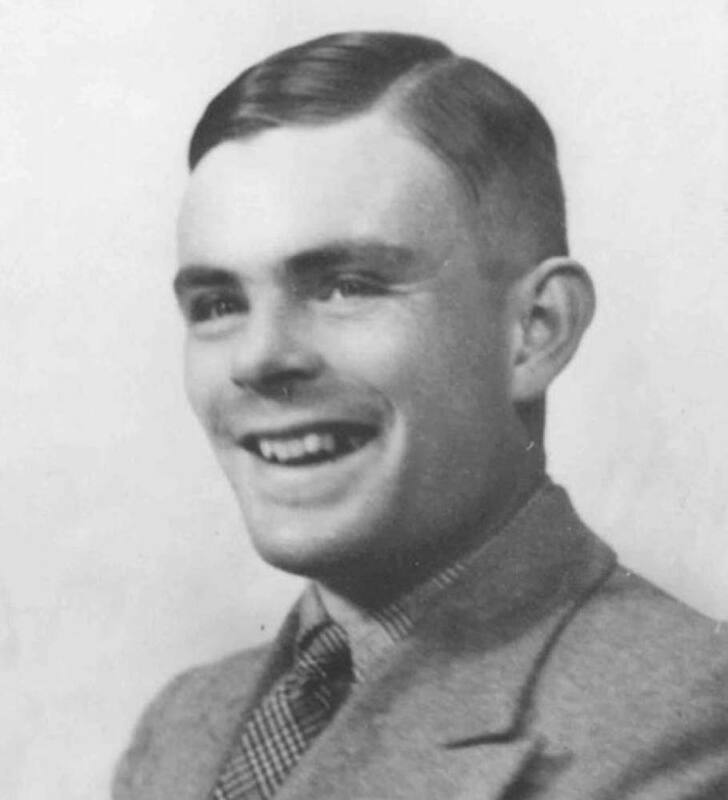 In 1939, he was offered the job of a cryptoanalyst in a secret decryption centre at Bletchley Park near London. 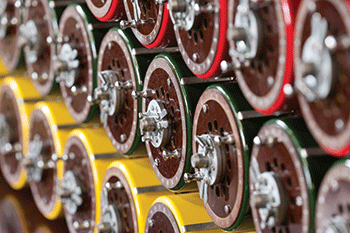 Based on Polish pre-war successes in the field of code breaking, he designed the Turing bomb. Since then, the British have regularly broken German ciphers. At the end of World War II he worked on the creation of computing machines. He died in tragic circumstances, probably deliberately poisoned with cyanide due to depression after a forced hormonal treatment. How did Enigma affect the fate of war? Marian Rejewski learned about the scale of activity of the Bletchley Park only 30 years after the war and couldn’t be involved in its work. But it was his discovery – in 1932 – of mathematical methods of breaking the Enigma which was called “the claim that won the World War II”. Historians differ in the assessment of Enigma breaking. Even the most cautious among them agree that it contributed to shortening the war by at least 2-3 years. Given that on average in one year of war the lives of about 10 million people were lost, this means that Marian Rejewski and his colleagues saved about 20-30 millions of human lives. The Enigma code was supposed to secure communications from the u-boots with the headquarters. By breaking the German messages the war was shorter and millions of lives were saved. Solutions and devices that have been developed to facilitate the Enigma breaking have given rise to today’s digital civilisation. The success of Polish cryptologists is not only the support of the Allies in the fight against the secret information of German Nazi troops. This is not only contribution to the fact that the war ended in May 1945. This Rejewski bomb launched the works on a much more extensive Turing bomb, which was an invaluable support for British cryptologists. It should also be noted that the work of the British initiated the activity related to the beginning of computer science. The concept started by Turing and known as the “Turing machine”, describes the principle of computer operation. 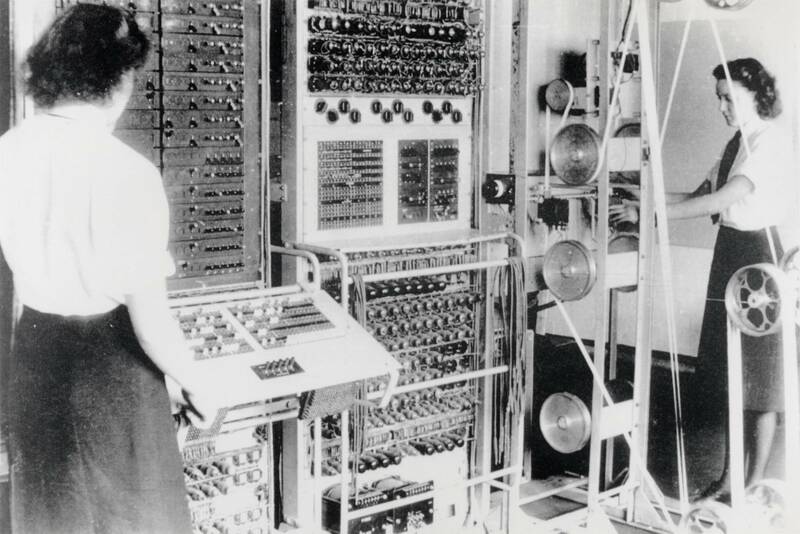 Immediately after the war, mathematicians who, during the war’s battles dealt with code decryption, used their experience building the earliest models of electronic computers and thus became the pioneers of digital civilisation. The successors of Rejewski and his colleagues made cryptology no longer the exclusive domain of the army and diplomacy, and in its new mathematical version serves us all on a daily basis, protecting the security of our financial transactions and privacy. The Polish, who shared their secret without any preconditions, became unnecessary and were more of an object during the war than a subject of someone else’s game. After the war, most of them were not given the opportunity to use their achievements. Kingdom and he was forced to repeat his studies to be able to work as a mathematician. Jerzy Różycki was killed during the war in a ship catastrophe in the Mediterranean Sea. After being liberated from captivity in May 1945 and arriving in London, also Langer and Ciężki met with a cold reception. They died shortly, embittered, in poverty and loneliness.